Last night we all went to Bones to partake in its Denver Restaurant Week offerings. The first time participating in this week and I’d say it was a success. The food wasn’t amazing but it was good, it was at a restaurant we had never tried and probably never would have tried, and it was stuff I wouldn’t have tried on my own most likely. We had three courses – I chose the shishito peppers, curried veggie ramen, and mango passion fruit panna cotta. The peppers were a little too spicy for me, I was only able to have about four bites before giving them up to others to finish. Lydia had ordered loaded brussel sprouts so I had a few of those, which were good but salty. The ramen was also spicy but I liked the curry flavor so much that I ate most of my bowl. The tofu in it was quite delicious too. Overall it was a good dish but I wish I had a better tolerance for spice. I’ve already improved since my college years but it seems I have a way to go. 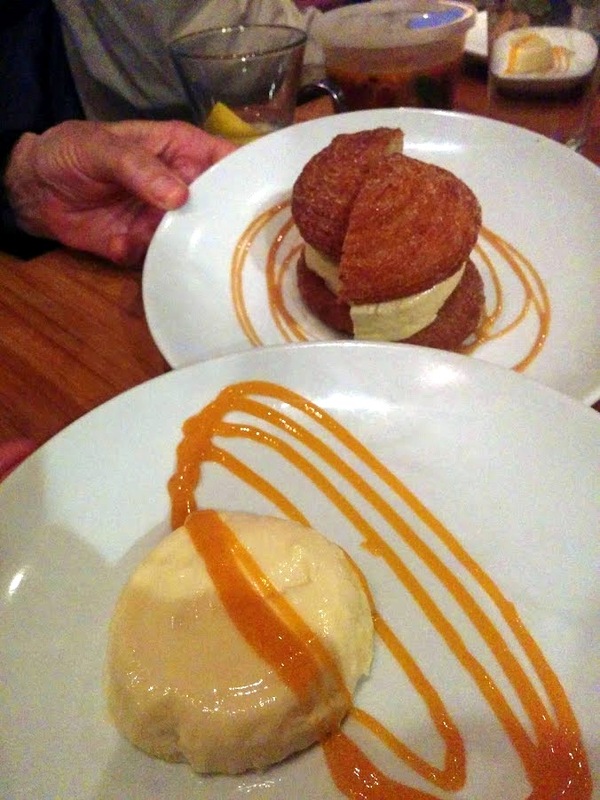 For dessert I had ordered the panna cotta but when they brought out the dessert menu (because Lydia ordered from their regular menu, not the Denver Restaurant Week one) I saw that they also offered churro ice cream sandwich and so I ordered one. Lydia and I ended up splitting the two desserts which was great as I also took bites out of Sidney’s ice cream. Yes, it was quite a food filled evening. Thankfully I left the restaurant feeling fine, I wasn’t overstuffed or feeling nauseous. 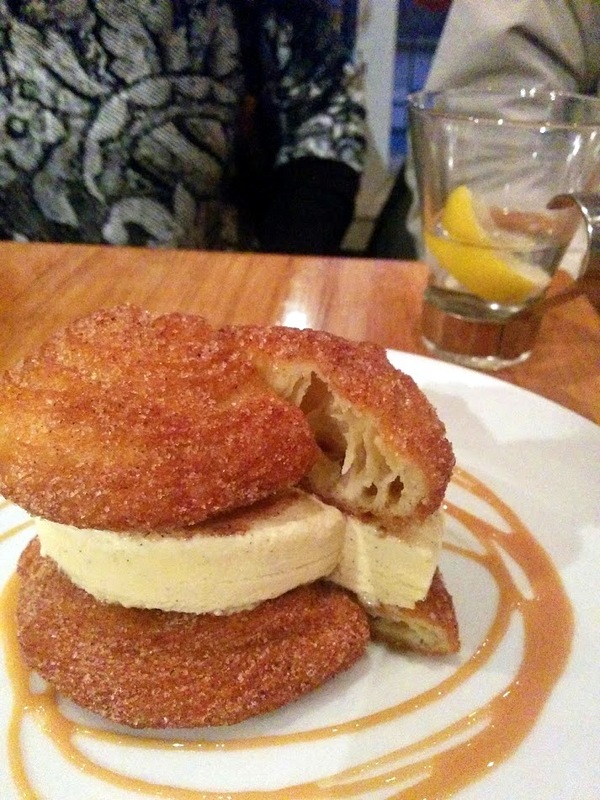 I thought Bones was a decent restaurant, their churro ice cream sandwich is definitely something I would eat again, but everything seemed a bit more expensive than necessary. Guess that’s what comes with a close to downtown location in a tiny space. Still, I’m glad I tried it. I want to learn more about what’s in my city and my plan is to wander a block or two once a week when the weather is nice again and to try new restaurants and stores. I’d like to think this was the beginning, or at least a part, of doing that. Cool experience. Could you just ask for them to make it less spicy?